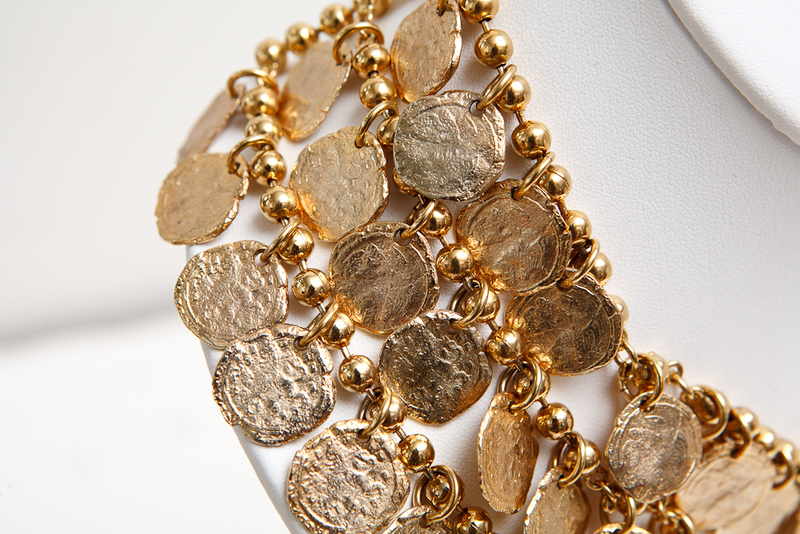 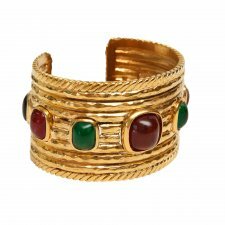 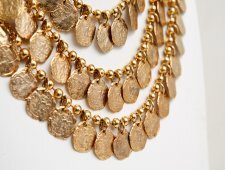 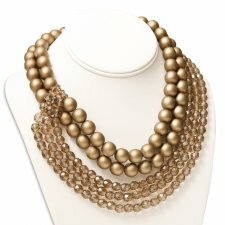 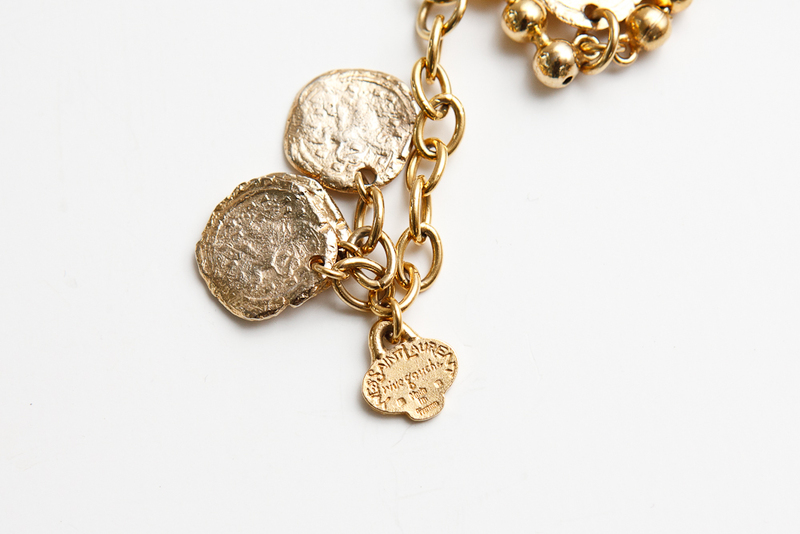 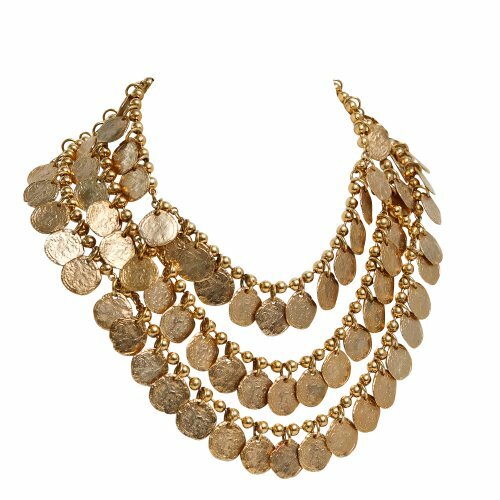 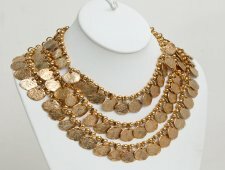 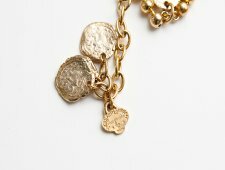 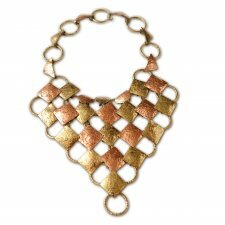 1980s YSL Etruscan Style Coin necklace. Three rows of dangling coins, make up the necklace. 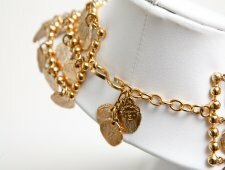 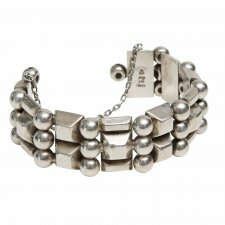 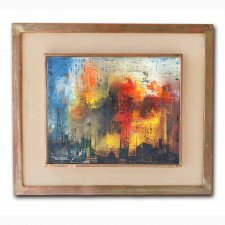 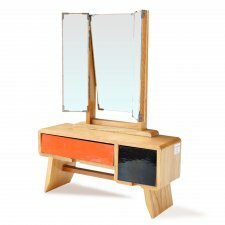 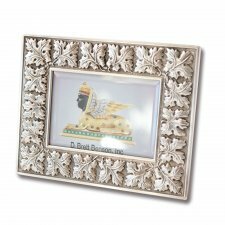 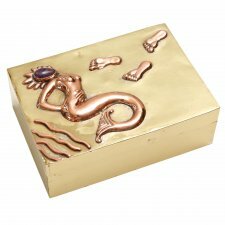 It measures about 17 inches long and about 3 inches wide.